← As Proud As A Peacock ! Another one of a kind vintage find! 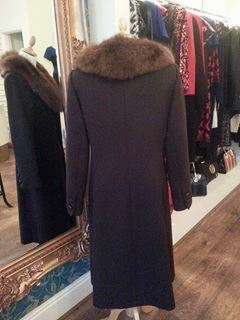 Beautiful 1950’s rich brown coat! 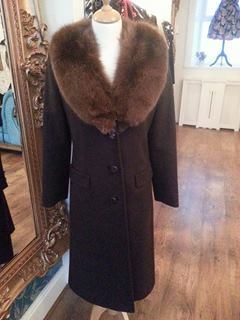 This is such a classy coat and one you will wear for years to come. Coat is 100% wool with a fox fur collar. Features two side pockets plus two faux pockets to the front! Closes with three buttons up the front, two matching buttons on each sleeve and all in tact! Looks like it has never been worn, pristine! This entry was posted in New In Stock, News and tagged 1950's coat, Mullingar, New To You, pristine condition, vintage coat. Bookmark the permalink.